2017 Bintelli Bolt 150. Picture credits - Bintelli. Submit more pictures. 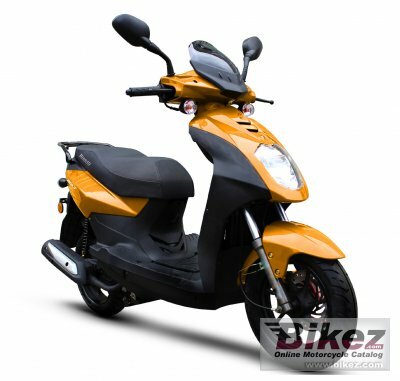 As with our other scooters, the Bolt 150cc comes fully loaded with many upgraded features such as Duro Tires, Yuasa or Motobatt Battery, NGK Spark Plug, Gates Belt, Halogen Headlight, Stainless Steel exterior hardware, and a 2 year limited warranty. Ask questions Join the 17 Bintelli Bolt 150 discussion group or the general Bintelli discussion group. Bikez has discussion forums for every moped. View comments, questions and answers at the 2017 Bintelli Bolt 150 discussion group. You can sign up for e-mail notifications when other riders answer you. If you have extensive experience with the MC, please send us a review. If you consider buying this bike, you should view the list of related motorbikes Look at photos. Compare technical specs. And check out the rating of the moped's engine performance, reliability, repair costs, etc. You can compare the rating with other bikes.